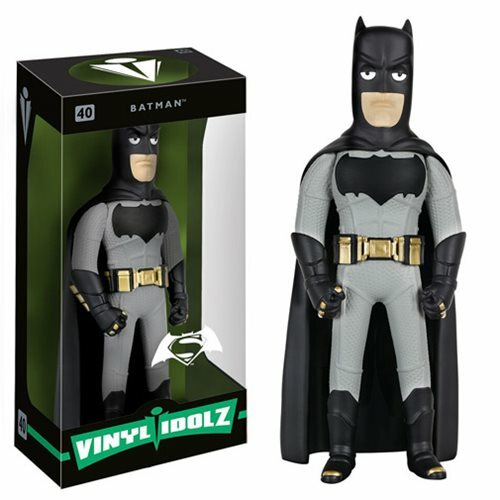 Shopping for Batman v Superman: Dawn of Justice Vinyl Figures? The two most iconic superheroes duke it out as collectible stylized vinyl figures! This Batman v Superman: Dawn of Justice Batman Vinyl Idolz Figure features the Caped Crusader, ready to throw down with the Kryptonian threat! Standing about 8-inches tall, this figure comes with a display base and is packaged in a window display box. Ages 14 and up.